Some 90 percent of people in the world who need assistive technology – such as glasses, walkers, or hearing aids – cannot access it, with the worst deficiency in developing countries. Today, World Health Organization members agreed on a resolution to improve access to those technologies, with overwhelming support. The WHO is instructed to provide support to countries and prepare a global report by 2021. Member states are requested to promote innovation and find ways to reduce prices. The access dimension of medicines, especially high prices, was a cross-cutting issue in the 71st World Health Assembly, which took place from 21-26 May. Assistive technology was no exception, as was pointed out by many delegates in committee yesterday. Assistive products include items such as hearing aids, walking frames, spectacles, prosthetic legs and pill organisers. The resolution [pdf] on improving access to assistive technology agreed upon today lists a number of requests addressed to member states and to the WHO. The draft resolution had been adopted by the January Executive Board meeting. The WHO is requested to prepare a global report by 2021 on effective access to assistive technology in collaboration with all relevant stakeholders, with the possibility of establishing an Expert Advisory Group. The WHO is also requested to provide technical and capacity building support to countries on the development of national assistive technology policies and programmes, including procurement and financing, regulation, and upon request, to assess the feasibility of establishing regional or sub-regional manufacturing, procurement, and supply networks. According to a WHO report [pdf], 70 million people need a wheelchair but only 5–15 percent have access to one, and hearing aid production meets only 10 percent of global need and 3 percent of the need in low-income countries, and 200 million people with weak vision do not have access to spectacles or other vision devices. Pakistan, who led the topic along with Ecuador, said equitable access to assistive technology is a human rights obligation, citing the United Nations Convention on the Rights of Persons with Disabilities. A number of countries, such as Bhutan for the Southeast Asia region, remarked on the fact that the lack of access to assistive technology touches the most vulnerable people in society. The issues of price and quality was underlined by many member states. South Korea, for example, said imported assistive products are sold at a very high price and suggested that the WHO consider proposing innovative ideas to support affordable imported products. Thailand noted the need for “availability, accessibility, acceptability, adaptability and affordability” of assistive technology. Germany also stressed the need for high quality supply, and Israel underlined the importance of affordability and safety of assistive products, saying it should receive the same attention as medicines. New Zealand also said assistive technology is currently very costly, calling for WHO to find a range of options to help with the situation. The United States said the country has contributed US$8 million to the work on assistive technology at the WHO over the last decade and said assistive technology is essential for those in need, indicating continuing support. Ageing population is one of the causes for the rising need for assistive technology, but it is also important for young people, as underlined by the Libyan delegate, who said given the country’s “recent trouble,” has a number of young people needing assistive technology. 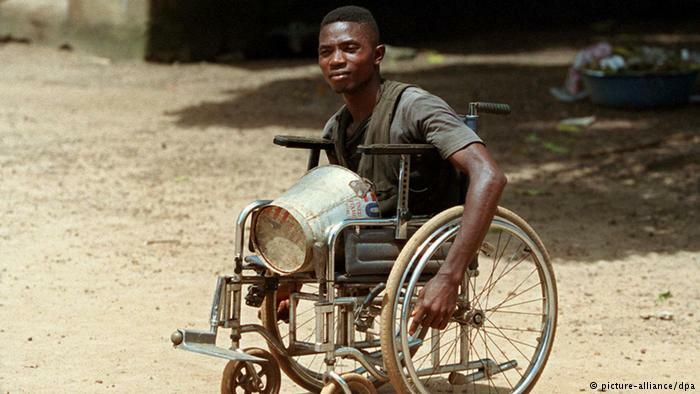 Belgium, current chair of the Convention on the Prohibition of the Use, Stockpiling, Production and Transfer of Anti-Personnel Mines and on their Destruction (Ottawa Convention), also called for access of assistive technology for landmine victims. WHO Assistant Director General for Drug Access, Vaccines and Pharmaceuticals Mariângela Batista Galvão Simão said she hoped that the overwhelming support for the resolution will generate political commitment and the implementation of actions at the country level. She said the WHO could help reduce costs through different activities, such as market analysis, but ultimately countries had to move forward and work on issues such as customs fees and taxes. "Global Health Policymakers Take Action To Improve Access To Assistive Products" by Intellectual Property Watch is licensed under a Creative Commons Attribution-NonCommercial-ShareAlike 4.0 International License. Thank you for the interesting article.However the link “WHO report” opens on an unrelated article (global snakebite burden), could you make the correct link available? Many thanks!